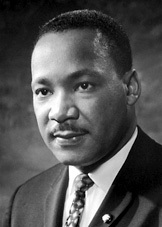 The Eddie Mae Herron Center/Museum will be hosting their annual Martin Luther King, Jr. birthday celebration on January 16, 2012. There will be a march across Pocahontas starting at 10am at the Courthouse on Broadway. We will walk down Marr Street to the Community Center on Geneva Street. The public is invited to march with us by just showing up at the Courthouse prior to 10am. Gerald Fears will be the guest speaker at the Eddie Mae Herron Center at 11am following the march. We will have lunch and a birthday cake at 12:30 following the guest speaker. Black History Month will be celebrated in February. A list of events will be posted as soon as they are finalized.